Belfast nutrition expert Jane McClenaghan will host the workshop at Glengormley Library on January 24. WHETHER you are cooking for one or have a family, healthy food on a budget can be difficult to access – but good foods need not cost the earth. Glengormley Library is holding a free ‘Healthy Nosh for Less Dosh’ workshop on Tuesday, January 24 to share tips for eating well without breaking the bank. With the New Year upon us, the event could not be better-timed with many people wanting to save money as well as improve their health after the festive period. The event will aim to help people learn how to plan better for a more nutritious diet which will enhance your health and will be hosted by leading Belfast nutrition expert, Vital Nutrition’s Jane McClenaghan. As well as her busy clinic in Belfast, Jane runs cookery classes and wellbeing workshops and specialises in developing workplace health programmes for companies across Ireland. Her philosophy of health and well-being is one of balance – simple, effective and practical changes that can fit into anyone’s lifestyle, to rejuvenate your motivation for eating well. 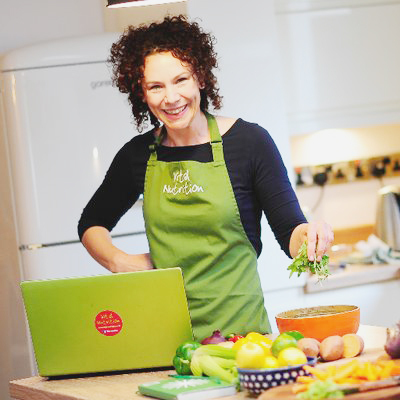 Jane regularly appears on local TV and radio and is the author of The Vital Nutrition Cookbook. She was recently was awarded the UK CAM (Complementary and Alternative Medicine) Award for outstanding practice – the first time this award has been given to someone from Northern Ireland. This workshop is one of a programme of events planned by Libraries NI to offer a wide range of positive health and wellbeing events and services in libraries here. Clare Curry, Information and Learning Services Manager with Libraries NI, is encouraging people in Glengormley to attend. “This is a great opportunity for people in the Glengormley area to find out more about making healthy choices and positive changes to their diet and lifestyle,” she said. Admission to the ‘Healthy Nosh for Less Dosh’ workshop is free and is open to everyone.